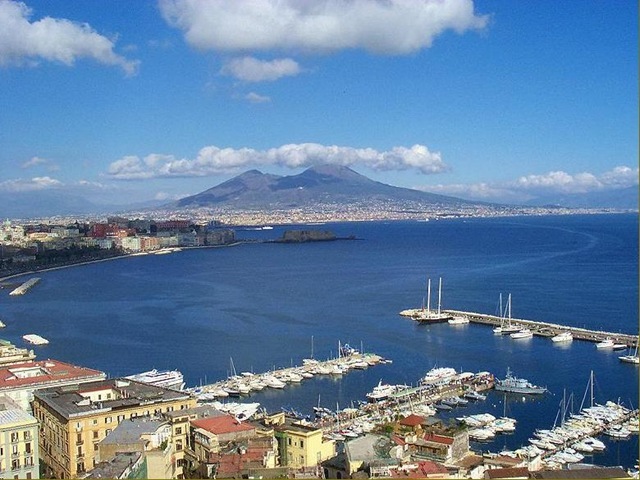 Naples is situated in southern Italy, close by the sea, and remains an important tourist hub, full of personality, partly thanks to its locals. With its infinite faces, it attracts tourists from all over the world. Naples, which is situated in the Campania Region of Italy, has different kinds of landscapes, from the blue sea of the Gulf to the fabulous as much as worrying Vesuvio, one of the few volcanoes still active in Italy alongside Mount Etna in Sicily. Many writers and painters described this city in their works, like Gianbattista Vico or Goethe, who described Naples as one of the most beautiful cities in Europe; full of contradictions, its values and faults always in a dangerous balance: a beautiful but fetish town, picturesque but dirty, generous and welcoming but dangerous. These days, in its squares and streets, you can enjoy a beautiful holiday. 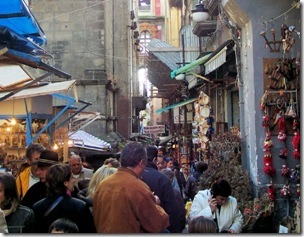 From Christmas ‘till the epiphany, Naples is full of plenty of things to do and see. 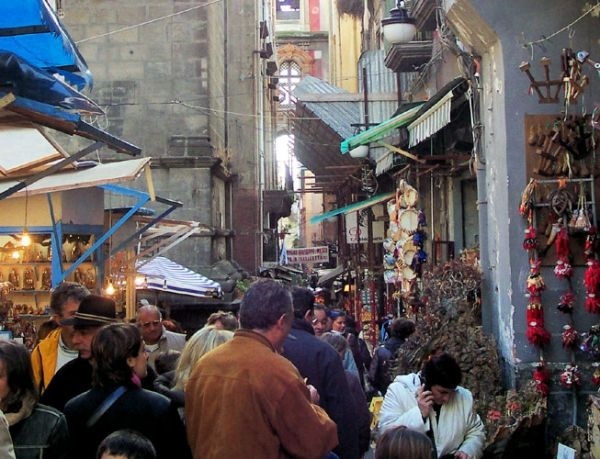 The Market of San Gregorio Armeno, which opens from December 8th to January 6th, is one of most typical markets of the town, where you can find all kind of statuettes, from Totò to pulcinella, full of all the irony of the place, something which you shouldn’t miss. On January 6th the concerts will end. The “note d’inverno” (winter notes) will be the last concert to take place at the Church of San Paolo. ← Previous Post: THE ITALIAN ROYAL FAMILY…OR IS IT?